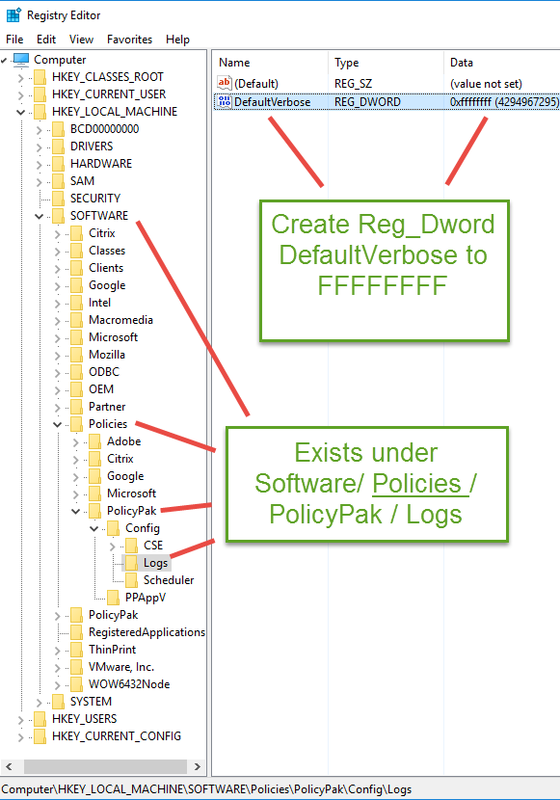 Debug logging might be required by the PolicyPak technical team, and goes beyond standard logging. as REG_DWORD called DefaultVerbose and set it to 0xFFFFFFFF as seen in this screenshot. You know you’ll have done it right, when special Debug messages appear in the logs likeBRExtension::dtoras seen here. For instance, check%programdata%PolicyPakPolicyPakBrowserRouterppService.logand look to see its been done correctly. After that, reproduce the problem, and run PPLOGS as seen in Step 3 here and attach to your support case.